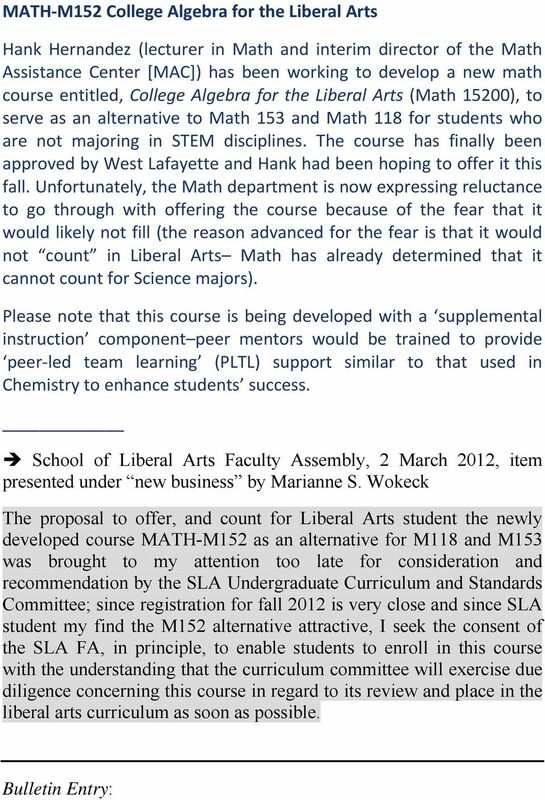 Download "MATH M152 College Algebra for the Liberal Arts"
2 MATH College Algebra Credit Hrs: 3 P: MATH (Algebra) with a grade of C or better, MATH (Fundamentals of Algebra) with a grade of B or better, or placement. 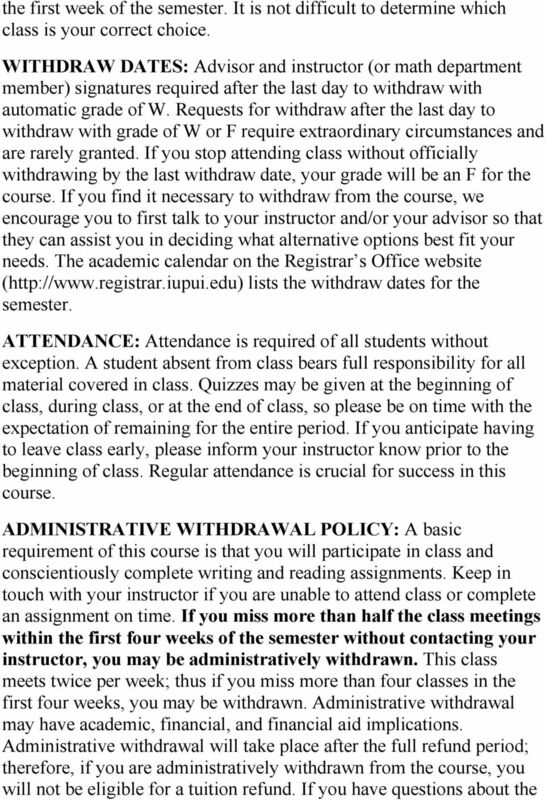 MATH15200 is a terminal course that covers college-level algebra designed to satisfy the liberal arts analytic skills requirement in mathematics. 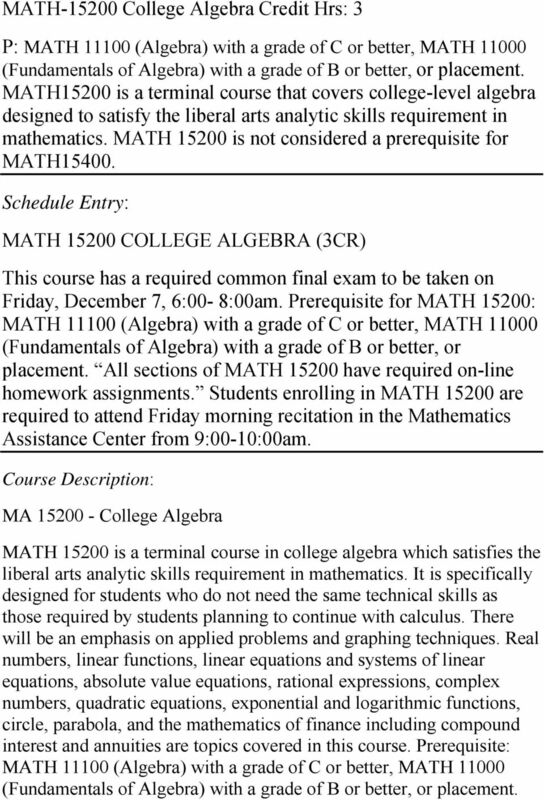 MATH is not considered a prerequisite for MATH Schedule Entry: MATH COLLEGE ALGEBRA (3CR) This course has a required common final exam to be taken on Friday, December 7, 6:00-8:00am. 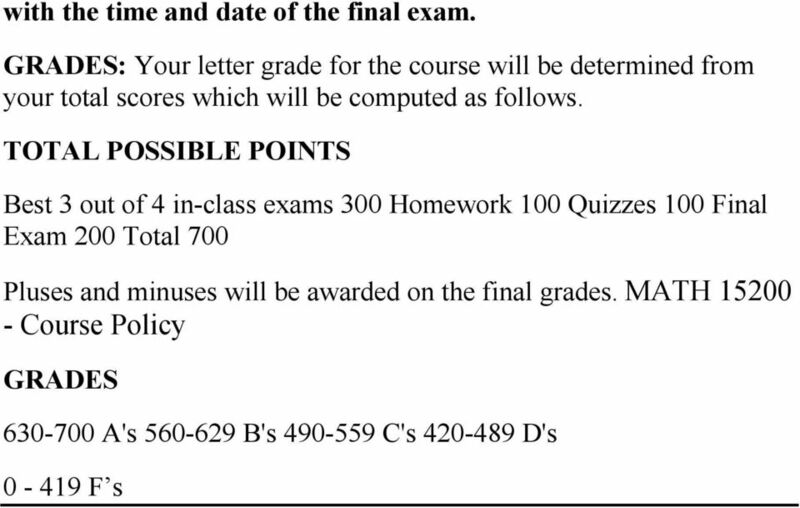 Prerequisite for MATH 15200: MATH (Algebra) with a grade of C or better, MATH (Fundamentals of Algebra) with a grade of B or better, or placement. 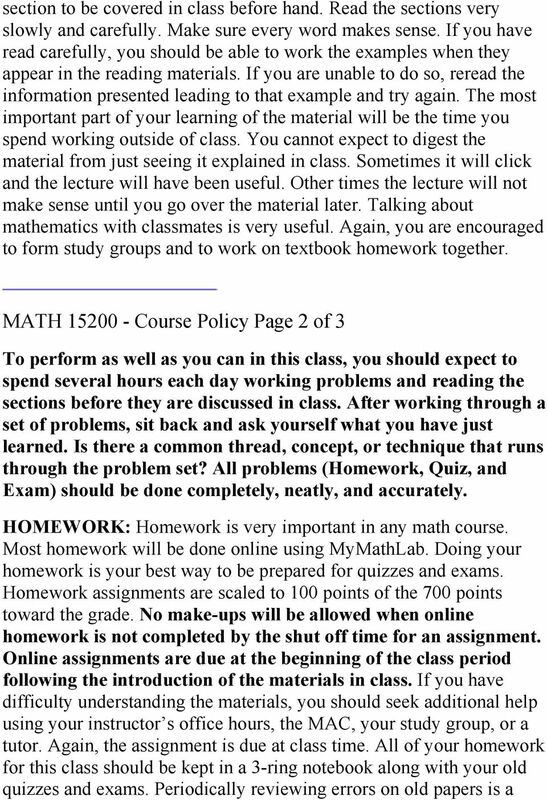 All sections of MATH have required on-line homework assignments. 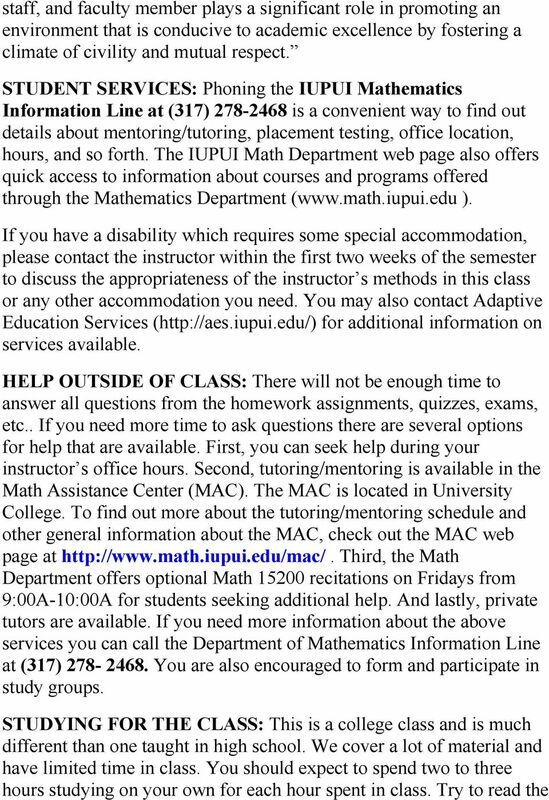 Students enrolling in MATH are required to attend Friday morning recitation in the Mathematics Assistance Center from 9:00-10:00am. 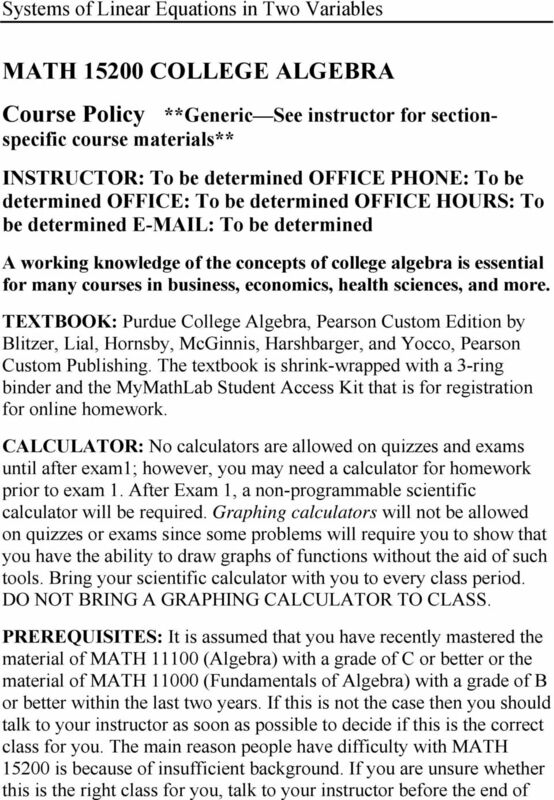 Course Description: MA College Algebra MATH is a terminal course in college algebra which satisfies the liberal arts analytic skills requirement in mathematics. 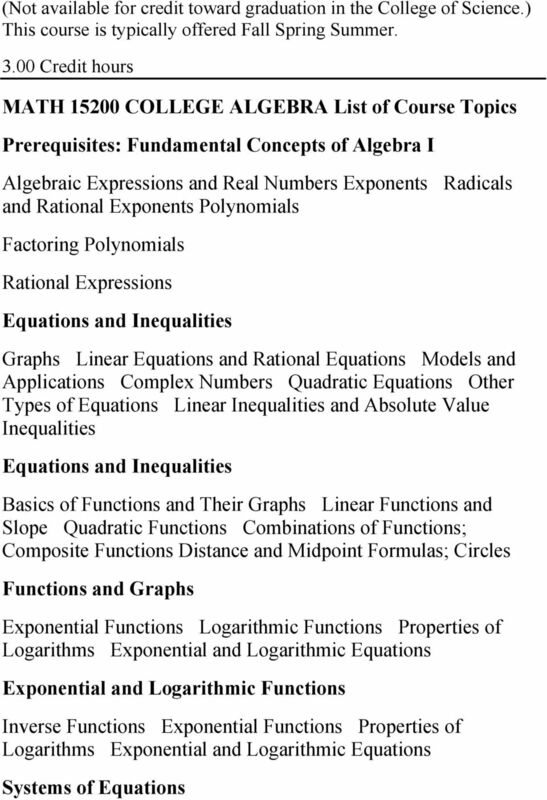 It is specifically designed for students who do not need the same technical skills as those required by students planning to continue with calculus. 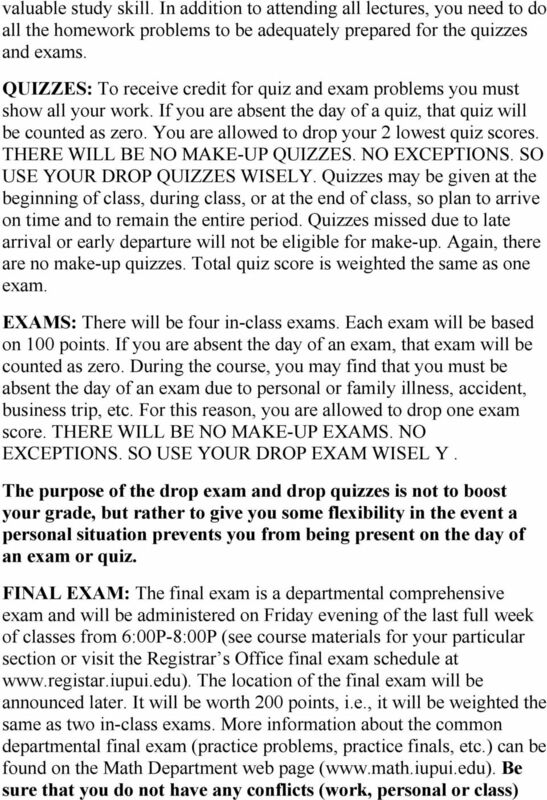 There will be an emphasis on applied problems and graphing techniques. Real numbers, linear functions, linear equations and systems of linear equations, absolute value equations, rational expressions, complex numbers, quadratic equations, exponential and logarithmic functions, circle, parabola, and the mathematics of finance including compound interest and annuities are topics covered in this course. 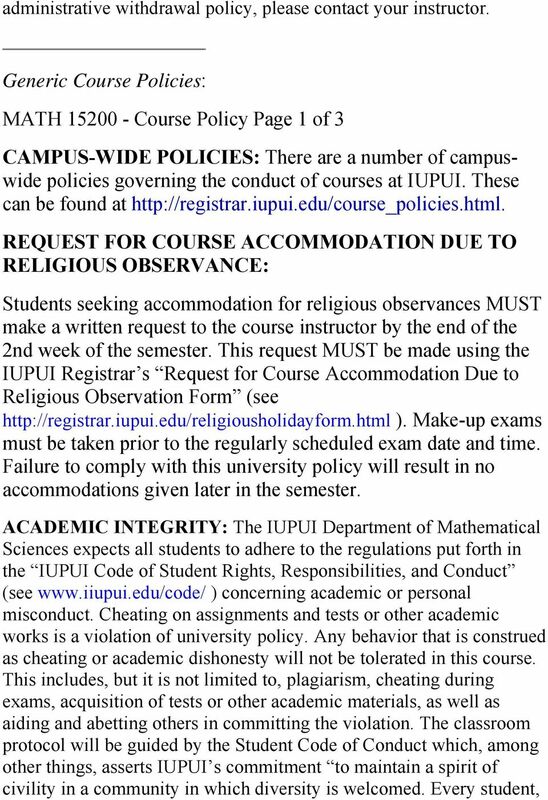 Prerequisite: MATH (Algebra) with a grade of C or better, MATH (Fundamentals of Algebra) with a grade of B or better, or placement.